In today’s medical field, medical imaging is essential for diagnosis and treatment. Without radiological or medical imaging procedures, doctors cannot fully evaluate what is wrong with a patient. Doctors need those studies to see what is happening inside a patient’s body. Radiological or medical imaging studies reveal conditions that acutely relate to the patient’s symptoms. Failure to properly read one can be devastating. A missed fracture can lead to a larger fracture or surgery or even amputation. A missed mammogram can lead to mastectomy or the spreading of cancer. A missed tumor can lead to death. A mistake involving misread radiological or medical imaging films is medical malpractice. When a condition goes unnoticed or untreated, further complications or even death may occur. 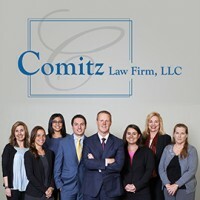 Since 2003, Wilkes-Barre Medical Malpractice Attorney Jonathan Comitz has been handling complex medical malpractice cases, many of which include cases where the victims have suffered injuries and even death due to misread MRIs, Mammograms, X-Rays and Ultrasounds. If you or a loved one has suffered as a result of a misread radiological or medical study, please call our downtown Wilkes-Barre office today at (570) 829-1111 and make an appointment to speak with Attorney Comitz, who will personally review and handle your case.